The ICSE 2014 Organizing committee is making arrangements for safe, enjoyable and enriching experience during your visit to Hyderabad. For the convenience of delegates upon arrival at the Hyderabad - Rajiv Gandhi International Airport, facilitation counters/help desk will be set up at the arrival lounge of the Airport with conference signage and ICSE 2014 Logo. The delegates are requested to follow the appropriate signage to the facilitation counter/help desk. The facilitation counter will be operational from 30 May to 4 June 2014. The organizing committee is facilitating booking of personal cab service from the airport to your hotel via the conference web site. Delegates who have booked your local transport online using our site, will have to approach the ICSE 2014 volunteers at the facilitation counter/help desk who will enable facilitation of Airport transfers to hotels. It's highly recommended that you avail this service. Please click: http://events.kwconferences.com/Ei/ICSE2014/ICSE2014AT.htm for booking the airport transfer. For delegates who have not pre-booked, our volunteers will assist you in getting a taxi which will be paid by yourself. Please ensure that you have Indian currency (Rupees) to pay for the taxi. If are not carrying cash, you can exchange it at the currency exchange counters in the airport itself. The approximate currency rates are: 1 U.S dollar = Rs. 61, 1 Euro = Rs. 84 (as in April 2014). To find your country's currency exchange rates, please click here. Radio Taxi service at the Rajiv Gandhi International Airport is provided by leading service providers Meru and Sky cabs for the convenience of passengers. This is an air conditioned cab service with charges payable on the basis of meter reading at the end of the journey. Radio taxi can't be pre-booked from Airport. Only those taxis that have taken the license for operating Radio Taxi Service from the Government of Andhra Pradesh can operate this service in Hyderabad. All airport radio taxis are registered with the police. So, the services are reliable and safe. Hyderabad Rajiv Gandhi International Airport is at a distance of 36 km or 45 minute drive from HICC Complex (conference venue). It should cost around Rs. 650 during day time and approximately Rs. 850 during night time to get to the venue. Pushpak is a luxurious express bus service from airport to important destinations in the city. Pushpak buses are operated by Andhra Pradesh State Road Transport Corporation ("APSRTC"). 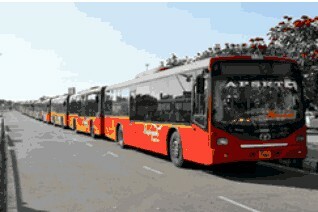 These are air conditioned low floor buses offering safe, secure and comfortable travel between airport and city. The buses will take you to major points in the City. Shilparamam is the closest point to the conference venue (about 3 km from the venue). It should cost about Rs. 200 to get to Shilparamam. From the drop-off point, you may have to take an Auto/Taxi ride to your hotel. Expect to pay about Rs. 15 - 20 per Km travelled for an Auto/Taxi. For delegates who have booked the recommended hotels using our site, shuttle service will be arranged for you to get to the conference venue (HICC). It’s true that travel opens you up to new experiences and pushes you out of your comfort zone, but at the same time, be sensible. Things like hitchhiking, going out alone at night, and accepting drinks from people you don’t know are risky no matter where you are in the world. Ultimately, there is no secret to enjoying your stay in India. It is a continual process of being wise and keenly listening to your instincts – just as you would anywhere else in the world. Indians love to welcome foreigners into their country, so trust your gut in accepting our hospitality.